It’s March — almost Spring!! — and in many parts of the country Spring means RACE TIME! 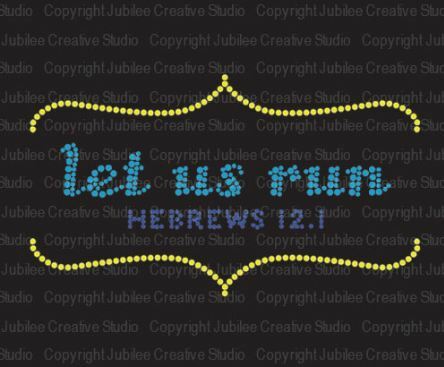 We have all the racing bling you need — 5k, 13.1, and 26.2 iron on transfers for your race day shirt. Or maybe the idea of running makes you cringe but you have a friend who has been training for her first (or fortieth) race. You could take a cue from our own customer service guru, Amanda, and put together a fun gift basket for your favorite racer! 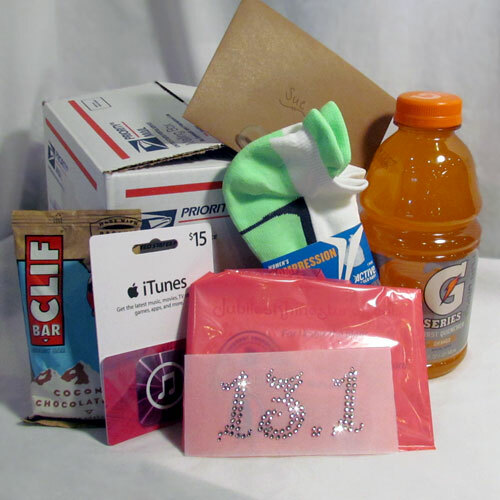 Amanda’s mother-in-law is training for her first half-marathon and Amanda arranged this care package to support her. What a great way to “be there” for someone when you can’t actually be there! Care packages are great gifts for graduates, sports teams, new or expecting moms, college students, and, of course, birthdays and holidays. Care packages are fun to make and fun to receive! Add some sparkle to your next care package with iron on bling or decal stickers from Jubilee Rhinestones!